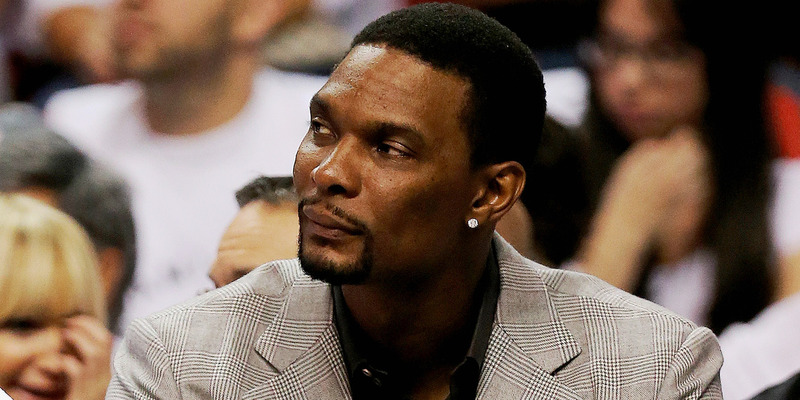 Chris Bosh’s career abruptly ended two years ago after two bouts with blood clots. It’s been over two years since Chris Bosh last played an NBA game. Bosh’s career was put on hold when it was revealed that he had a blood clot that travelled to his lungs. After returning in the 2015-16 season, he once again was found with another blood clot, essentially ending his career. Bosh’s contract was eventually bought out by the Miami Heat, and though he’s a free agent, it seems unlikely teams will take a chance on him with what could be a life-threatening condition. Though Bosh has picked up an array of hobbies off the court, he told ESPN’s Jackie MacMullan in an eye-opening piece how much he has been affected by life without basketball. Bosh told MacMullan that basketball was his one true passion, and without it, he has missed the camaraderie, schedule, and attention around him. “You go from being with the guys all the time, in the locker room, in practice, having a militarised brain in terms of this schedule, and then all of a sudden you are on your own. You lose a sense of purpose, you lose a sense of yourself. And you lose confidence. You find yourself saying, ‘I was the best at this and now I’m not the best.’ You have to deal with not being very good. You have to deal with people no longer catering to you. “You start feeling forgotten. You don’t get as many phone calls. You don’t stay at the forefront of people’s minds. It’s natural, it’s life, you have to understand what’s happening, but I definitely see why the divorce rate is so high, and why players go broke. In 2017, Bosh told Business Insider that it’s a daunting, but exciting challenge trying to find what to do next. “I have to be extremely creative, more creative than I’ve ever been in my life, because that’s such a tough question to ask… I think that’s such an exciting thing. I felt like I was chosen to play basketball when I was younger. I’ve had to ask myself [what’s next] over and over. Bosh told MacMullan he’s still hoping for one more shot in the league, but according to MacMullan, four different GMs that spoke to ESPN expressed hesitancy about signing and playing Bosh after his blood clots.